Display technology has evolved a lot over the last decade or so. The change from monochrome CRT to color CRT and then the first LCDs took more than half a century. CRTs, once the single most display technology, started getting replaced by LCDs at the start of this millennium. In just a decade and a half, two different technologies came up viz. plasma and LED and overtook LCD. Though LCD still has a sizable market share because of its low cost of production, larger TV and display screens are mostly made out of LED. Now it’s shifting to OLED panels, which are known for its vibrant colors and deep blacks. Display manufacturers like LG, Sony and others are focusing on bringing this technology to mainstream large scale production. 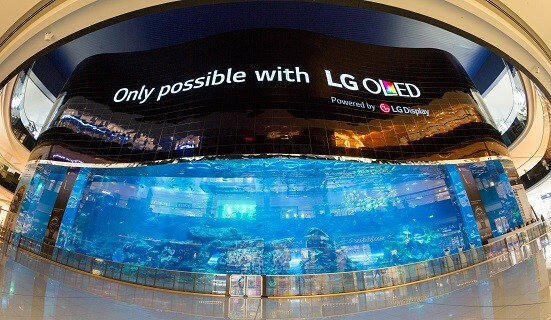 LG Electronics unveiled a video signage in Dubai, which is the largest OLED screen and the largest HD wall in the world. 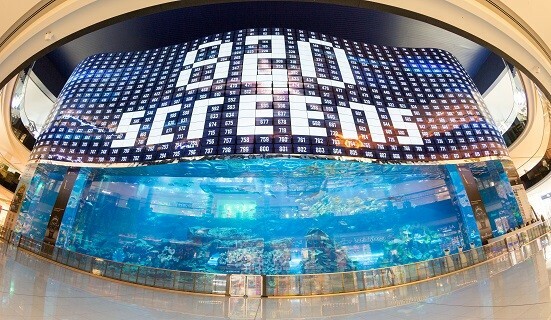 Dubai Mall, adjacent to world’s tallest tower Burj Khalifa, was the chosen venue for the signage which was created using a staggering 820 Open Frame OLED panels. 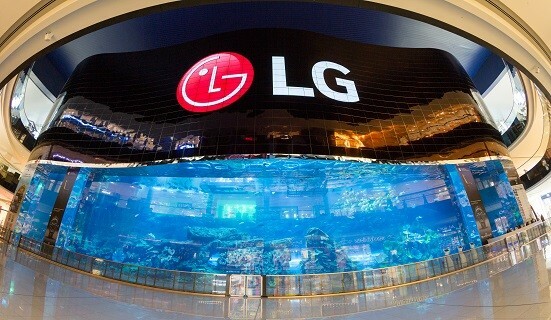 Emaar Entertainment was the partner for LG in this record breaking project. Placed above an aquarium, the curved display complements the undulations of the flowing water beneath it. The ability of Open Frame OLED to form both concave and convex curves in landscape as well as portrait modes aided the project immensely. OLED Technology | What's special? OLED technology is the preferred premium tech for displays now, and it’s called the next-gen display because of the low-power consumption and great colors. The lower power usage is due to the fact that OLED is emissive in nature, which means that the display has the ability to emit its own light. This eliminates the need for back-lighting, which are often bulky and inefficient. When displaying black color, the panel shuts off the particular pixels, which gives the deepest black levels and insanely high contrast. The viewing angle of OLED is also better when compared to back-lit LCD displays.